Brighten up your look with the bold allure of this pair of topaz dangling earrings. 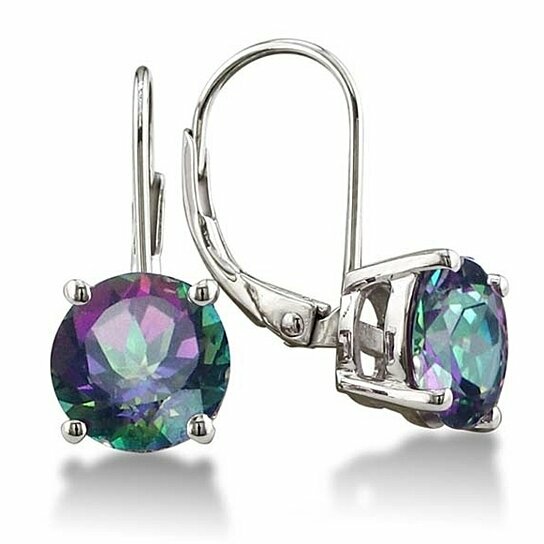 Two mystic topaz stones are prong-set into the base of these earrings, reflecting a rainbow of purple, green, and blue hues. These 3 1/ 2 carat earrings are made of sterling silver and secure with leverbacks for all-day wear.